President George Weah makes football comeback aged 51 - Integration Through Media ....! 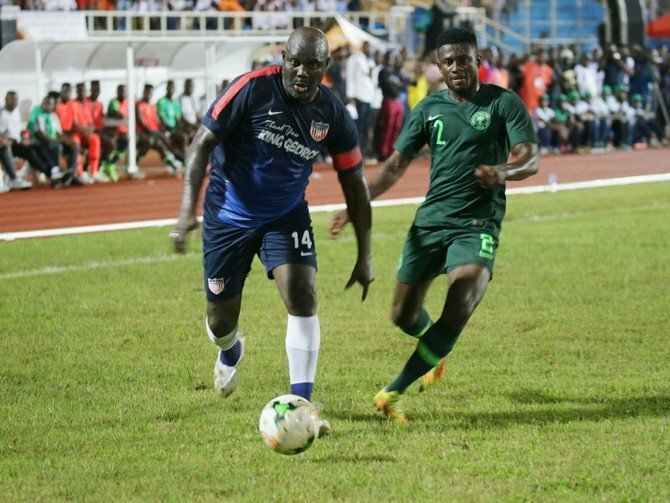 JOHANNESBURG, (AFP) – Liberia president and former world footballer of the year George Weah made a surprise return to international football Tuesday at the age of 51 in a 2-1 friendly defeat by Nigeria. The international match in Monrovia was organised to ‘retire’ the number 14 shirt worn by Weah, who was voted world, European and African footballer of the year in 1995. Libera are ranked 47th of 54 African football nations and 158th in the world. The last of their two Africa Cup of Nations tournament appearances was 16 years ago. Weah played in Liberia, the Ivory Coast and Cameroon before moving to Europe, where his clubs included Paris Saint-Germain, Monaco, Marseille and AC Milan.